Grieving for the loss of someone you love is complex, difficult and painful. Loss happens to men, women and children at any age. 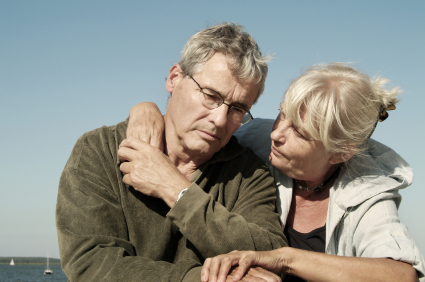 Have you ever considered counselling as a means of coping with and accommodating this loss? Bereavement, Grief and Loss are part of the normal cycle of life. Everybody experiences Bereavement, Grief and Loss at some stage in their life. Experiencing Grief and Loss is healthy and is not a sign of weakness. Bereavement, the loss of someone we love, or something very important to us, results in grief which is the natural and healthy reaction that follows. Grief is best described as a multi-layered and truly personal experience involving a host of emotions from numbness and disbelief to anger, guilt, loneliness, bitterness, and at times, overwhelming sorrow. Bereavement counselling becomes a very important part of the healing process. This process can enable you to discover your existing inner resources and help you to build the awareness to make meaningful choices so as to begin again live a more satisfying life. Counselling 4 U offers a warm, empathetic, safe, confidential and professional environment, where you will be listened to and understood, and where you can explore what is troubling for you. Bereavement or Grief Counselling supports you in processing difficult and painful emotions in relation to a loss & Bereavement. This may include the death of a spouse, a child, a miss-carriage, a relative or close friend. Losing someone you love is devastating, yet life continues all around you, seemingly oblivious, as your own life comes to a crashing halt. What happens now? How could grief counselling even help? It won’t bring back the person we lost. There seems no way out of the incredible pit of despair and unbearable pain. The cause of death may have been due to illness, suicide, accident, war, murder, war or other natural causes. You may have experienced the death of a partner, lost a baby in pregnancy, a parent, a lover, a child, a relation or a colleague in many differing circumstances. You may experience a loss or life event which may brings up old feelings or memories from earlier bereavements. Very often a bereaved person may be blaming themselves for the loss. While grief can result from a variety of situations ranging from divorce and separation to traumatic injury or illness, probably the most difficult and heart-wrenching circumstance to deal with is the death of a child or spouse. This type of grief is a profound and all too often, devastating experience for family members who are left behind. If left unchecked, no matter the cause, all grief can quickly turn into deep depression and other serious psychological disorders. • Shock as when you experience a sense of numbness, withdrawal, inability to express emotions. • Denial as when you act as though no loss had occurred. • Depression as when you despair in pain, crying moaning, wanting to give up. • Guilt as when you wished you had done something differently. • Anxiety as when you begin to experience panic about the implications of the loss. • Anger as when you begin feeling victimized and trying to find someone or something to blame. • Acceptance as when you begin the letting go process. These are all normal stages in the process of grieving. If you are experiences inappropriate or unmanageable grief or stress in relation to what you may consider a minor loss and this is having a negative impact on the quality of your life, it is also wise to seek the assistance of counselling. Seeking help is the next step. You will be offered an appointment to meet to talk with a counselor about the bereavement or loss you have experienced. From this initial meeting, if it is mutually felt to be useful, weekly counselling support will be offered to you.